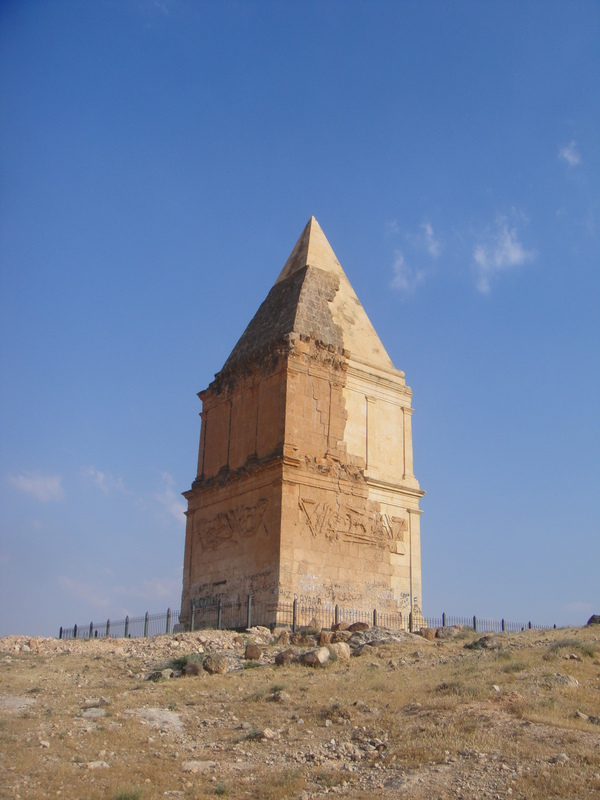 Located at the northern end of the Bekaa Valley in the middle of nowhere, this lonely pyramid rises almost 100 feet above the small hill on which it was built. It can be seen from miles around, but no one is sure what this unusual monument is intended to be or why it is alone. It resembles some of the tower tombs at Palmyra, to the east in Syria, and some believe it is the tomb of a prince dating from the 1st or 2nd century BC. The north side depicts two deer standing on what appears to be a hunting trap; its south side is largely worn away, but shows what might have once been a bear. 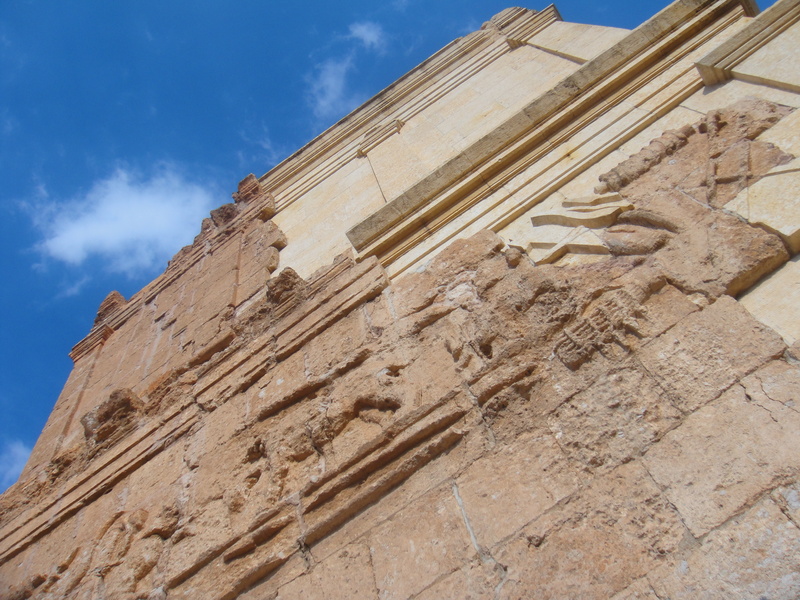 The east side has reliefs of a speared boar being attacked by hunting dogs, and its west has a bull being attacked by two wolves. Unfortunately, the inscriptions are no longer there, so the pyramid may always remain a mystery. 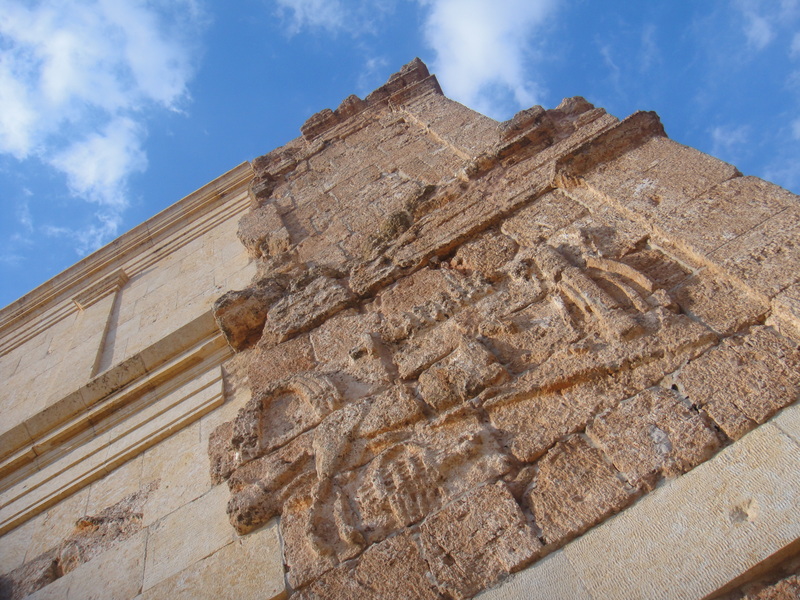 Tags: Bekaa Valley, Hermel, Hermel Pyramid, Hermil, Justin Ames, Kamouh el Hermel, Lebanon. Bookmark the permalink. You should know your blog looks extra super slick on the iPad. The images and layout matches the well thought out and written material even more so. Top notch! !